To learn how to set up this hardware, please refer to this external tutorial from roboTosh on setting up the JY-MCU Bluetooth module with your Arduino board. Be sure to use the sample Arduino source code on that web page to test your hardware set up and verify that everything is working. The hardware configuration sets up power and interface to the JY-MCU module, and configures a single LED as a status indicator when the code is running. In the test case (on that page), you’ll program the Arduino using the USB-serial link, and then run the Arduino Serial Monitor to type commands to the Arduino board. Type ‘H’ to turn on the status LED light, and then type ‘L’ (actually anything other than H) to turn the light off. Once the Arduino and JY-MCU hardware are set up, install the software on the Arduino board. You may download the following source code as both a text file (.txt) and as an Arduino .ino project file (see end of this post for download links). A description of what this Arduino code does and how it works follows the code listing. If you are not familiar with Arduino source code, it is similar to the C++ programming language. 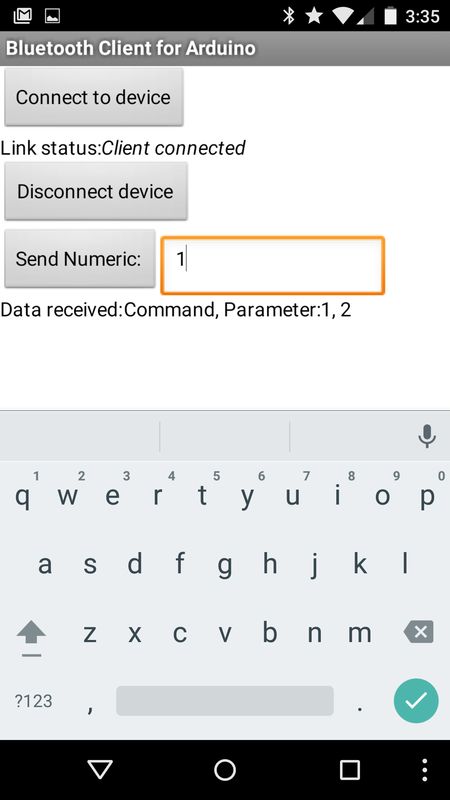 wireless to an Android app written in MIT App Inventor 2, running on an Android device. web site. Please refer to the tutorial for information and source code for the Android side of this sketch. to be used for any particular purpose. No warranties. This description assumes you are familiar with Arduino projects. The basic operation configures a Serial port to communicate with the JY-MCU module. Data is received or transmitted between the JY-MCU module using the Serial interface. 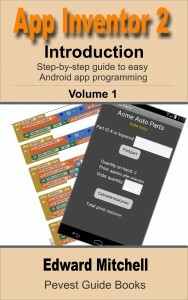 This project defines a very simple protocol for communicating between the Arduino and the App Inventor app running on an Android device. The protocol is merely a 2-byte sequence. The first byte contains a value that we interpret as a “command”, and the second byte contains a parameter value for the command. When the code reads incoming data from the JY-MCU module, the first byte is stored in a variable named cmd and the second byte is stored in a variable named param. The initialization code, in setup() sets the Serial data rate to 9600 bps as this is the default data rate on the JY-MCU module. The module may be configured to use different (and faster) data rates but for this tutorial, the data rate is left at the default value of 9600 bps. Depending on the parameter value (2, 3, 4, etc) a different function may be performed. As defined here, a value of 2 turns on the status LED; a value of 3 turns off the status LED. A parameter value of 1 tells the Arduino to send 2 bytes of data back to the App Inventor app, via the Bluetooth connection. This could be modified to send back other types of data (2 byte or 4 byte numbers or text strings). Additionally, the LED flashes the value of the parameter byte. For example, if a parameter value of 4 is received, the LED flashes 4 times, to provide visible feedback. You can modify this code to implement new functions on the Arduino that are controlled remotely from the App Inventor app. For example, you could define that a parameter value of 4 means to set pin 9 of the Arduino HIGH and a parameter value of 5 means to set pin 9 to LOW. 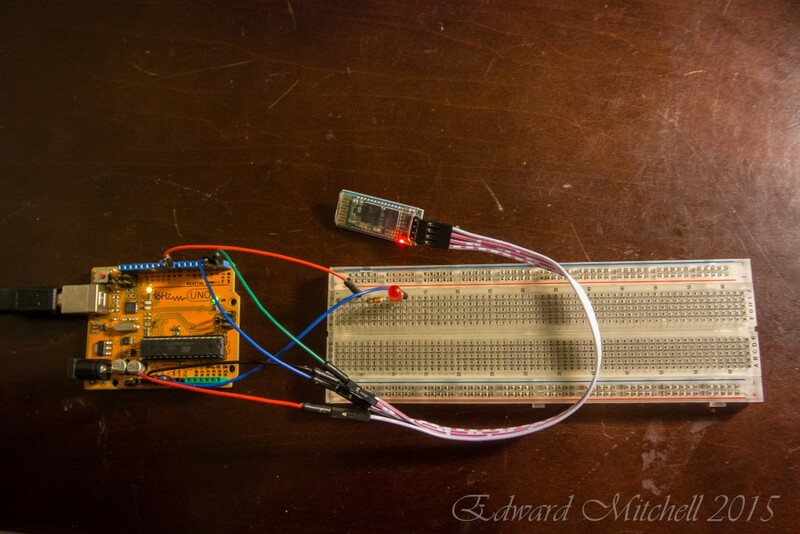 You could also use this to pass control information to operate a PWM interfaced servo or motor. Finally, flashLED() is a simple function to flash the LED the number of times indicated by its argument. 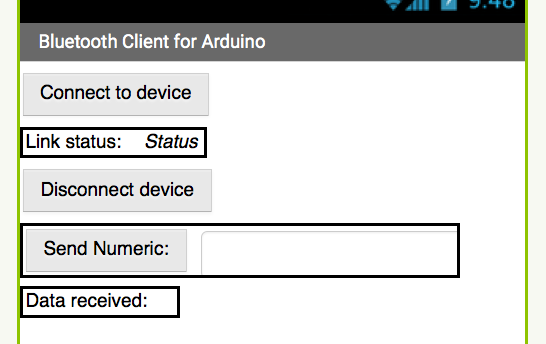 The “Bluetooth Client for Arduino” is based on the similar client code introduced in the part 1 and 2 tutorials on Bluetooth. The app provides a simple interface to connect to the Bluetooth device, to disconnect from the device, to send a numeric value (such as 1, 2, 3, etc) and to display link status and data received from the Arduino. 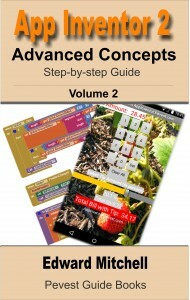 The blocks code for this app may be downloaded at the link provided at the end of this tutorial. The user interface has 3 buttons: Connect to device, Disconnect device and Send Numeric. Labels are used to display status and received data. FIRST! “Pair” Your Bluetooth Devices! Once the app is running, you should see that the link is Disconnected. 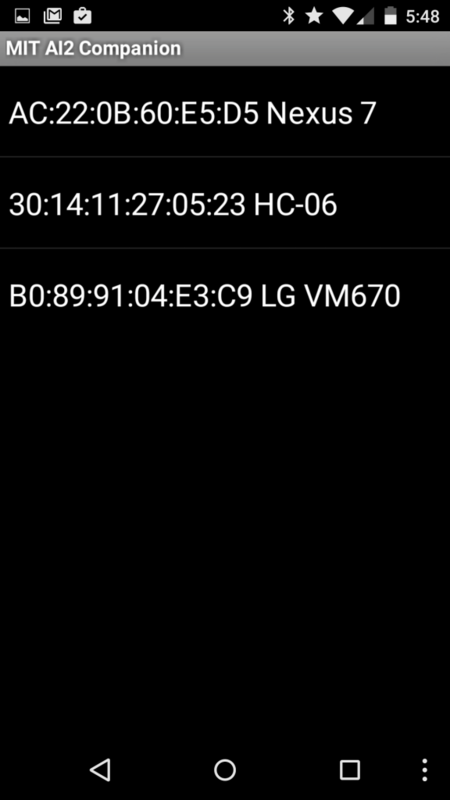 The app displays a list of potential Bluetooth devices. Select the HC-06 device from the list. There will be a pause for a second or two as the connection is established. Enter a numeric value of 2 and press Send Numeric – the status LED should turn on. To turn it off, enter a value of 3 and press Send Numeric – the status LED should turn off. Note that the LED will also flash a number of times equal to the numeric value sent. The original Bluetooth client code (see the original Parts 1 and 2) has been simplified to do only what is needed for the Arduino link. The Send Numeric click event handler sends the numeric value across the Bluetooth link. For simplicity, only positive numbers are permitted (the absolute value function converts negative values to positive values), and since a byte may only represent values between 0 and 255, anything larger is set to 255. Writing the blocks code in MIT App Inventor for an app that links to the Arduino device over Bluetooth wireless. 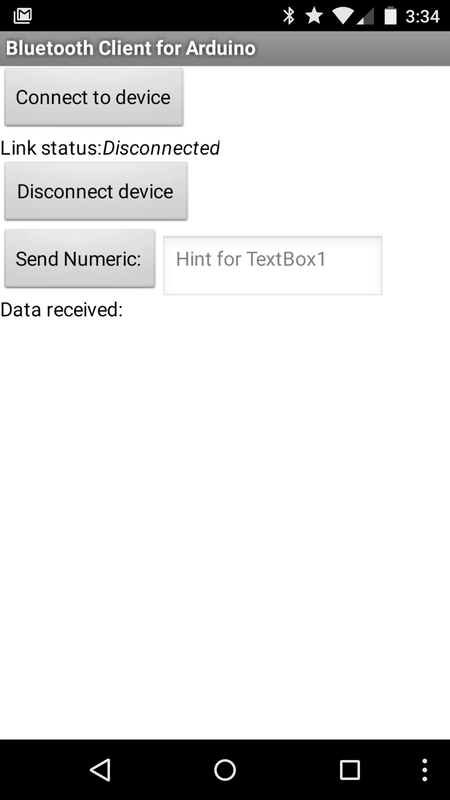 Operation of sample programs showing how to send and receive data via Bluetooth. The command/parameter protocol may be extended to support many types of data transfer and a greater set of remote control functions. The communication protocol, in a production system, might be improved to include data error detection. If data bytes are missed or damaged, they should be detected and handled or discarded. 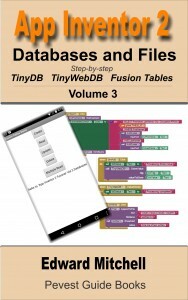 These code files and instructions are provided solely for educational purposes but you are free to use these in your projects. No warranty of any type is implied. I will respond to reports of defects in the code but I am unable to debug your hardware or software projects or to develop custom code for you! Pingback: New Arduino Zero controller board | App Inventor 2 Tutorial – Learn to Code! Pingback: Coming soon: Bluetooth to connect Android App Inventor code to Arduino | App Inventor 2 – Learn to Code! 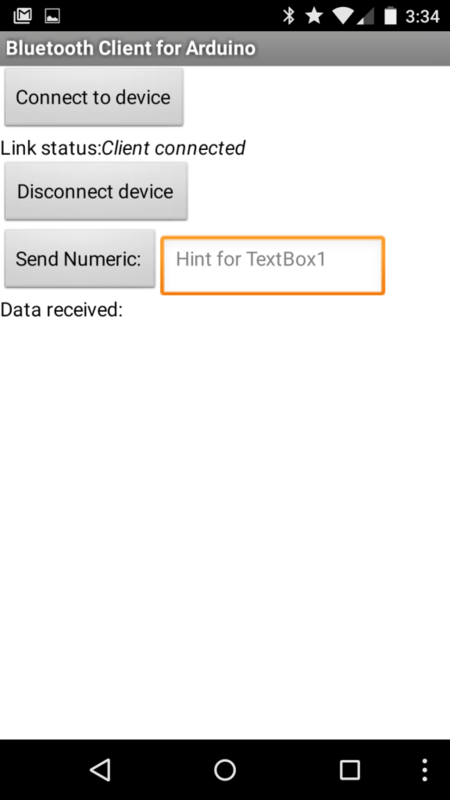 Pingback: Part 2: Sending numeric data using App Inventor Bluetooth communications | App Inventor 2 – Learn to Code! I tried downloading the .aia client file and the link gives me a zip file with folders and files, but no .aia file. 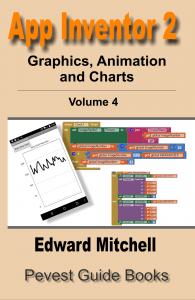 I suspect this may be for AppInventor I? Is there a .aia file available? I just downloaded the files all okay use right -click, save as, in Firefox, on Windows 10. The .aia file format is, in fact, just a .zip file that can be opened in ZIP file decompressor. 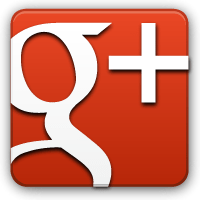 However, you should download as .aia and upload that entire .aia file to App Inventor. If you are seeing .zip as the file extension, then something odd is happening. Rename it to .aia (unmodified content) and upload that to MIT App Inventor. Ok. I tried Firefox and it works fine. I have Win 7 and latest IE. Right click – Save As would download it as a zip file, then my WinZip wanted to unzip it. To write code for Arduino, you need to install the Arduino software development editor and system, from http://arduino.cc. Code that you write for Arduino, in the Arduino Integrated Development Environment (or IDE) is downloaded to the Arduino board over USB. The “user interface” for Arduino programs are lights, motors and such, or attached LCD panels. If you want to display text for debugging purposes, the Arduino can send data over a serial link from the Arduino board, over the USB cable, back to the computer, where the text can be received and displayed on screen. Basically, this is a “terminal” program that lets you send text you type and display messages to and from the Arduino board. We can connect an Android App Inventor app over a Bluetooth link using the Bluetooth serial communications link. Can we connect to a Bluetooth audio device? I do not know. I expect that we can connect to the device but we do not know what data needs to be sent to the audio device nor do we know the form of the required audio data. 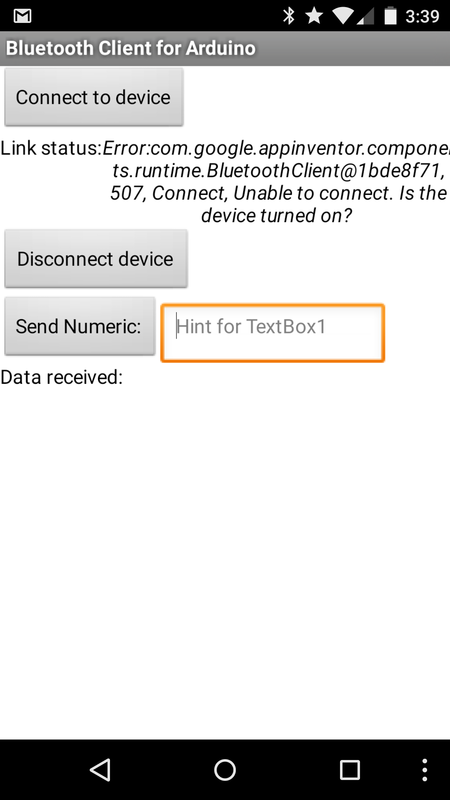 While Android supports WiFi, there is no specific features in App Inventor to connect over WiFi to a specific device.